One of the challenges adult children face is preparing for their own retirement while caring for a disabled parent. Taking over your parents' finances and deciding where they should live can be stressful. Sometimes your parents want to keep their independence and don't want your input. 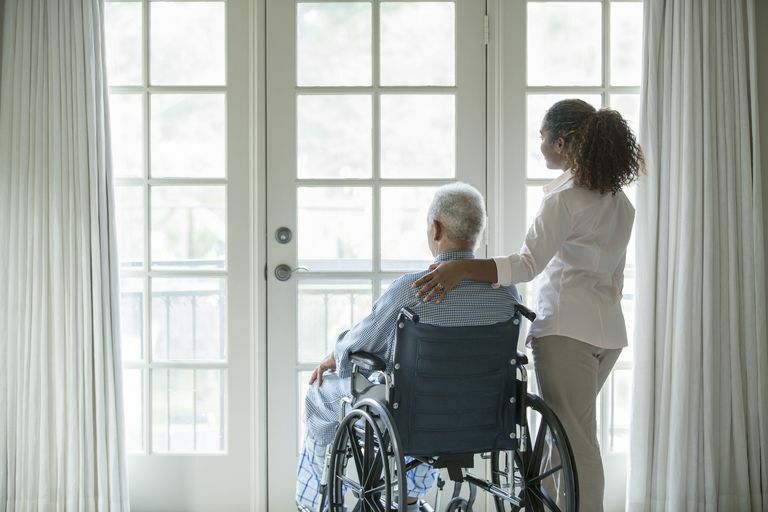 Deciding to place a parent in a nursing home, even temporarily, may generate feelings of guilt and create stress as well as place a strain on your relationship. Children of a newly disabled parent may experience challenges adapting to the many changes suddenly arising in their lives. If you are very young and used to your mother or father caring for you, the support transition can be especially disorienting. Perhaps mom can no longer make meals on demand, or dad can't play ball outside anymore. This change in family dynamics can generate feelings of anger, loneliness, and frustration. Family therapists can often help smooth over raw emotions. On the other hand, older children—especially teenagers—may surprise a disabled parent by being more than willing to adapt and take on additional responsibilities. The bond between parent and child may become stronger as a result of the two people having to rely on each other. Parents should avoid putting too much of a burden on children who may not be old enough to understand “adult problems.” While it's appropriate to share certain aspects of being disabled, such as basic information about your disease or injury, too much information may be stressful for a child or young adult. When possible, a disabled parent should seek outside adult assistance, either from friends or family members, so they don't overwhelm their children with the responsibilities of caring for a disabled parent. If you’re beginning to feel overwhelmed caring for a disabled parent, don’t hesitate to ask for help from any of these sources. They're staffed with caring professionals who are ready, willing and able to assist families that need a little or a lot of help to care for someone with a disability.